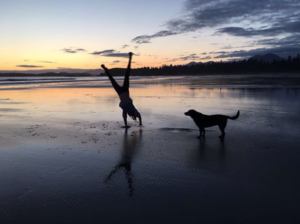 Toby is fourteen and lives in Tofino with her parents and dog, Schooner. When she’s not in class, surfing, running or participating in beach clean-ups with the Surfrider Youth Club, she’s the resident ornithologist at the Tofino Botanical Gardens. Tofino is a paradise for all levels of birders, despite its everchanging sea conditions and because of its varied resources: beaches, mountains, forests, inlets and mudflats. This is home to many experienced birders, who are recognized worldwide for their skills and passion, and happy to share their expertise. It’s truly a wonderful place for anyone planning to take up birding as their next hobby. 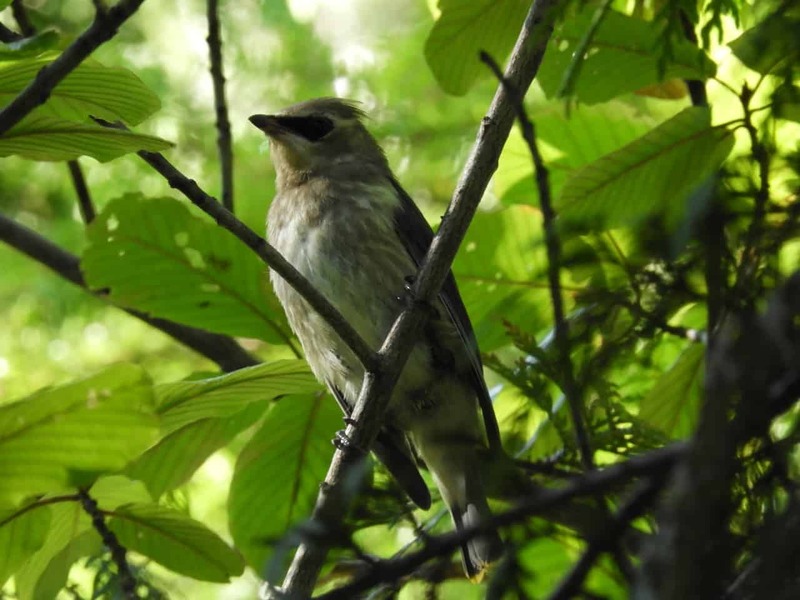 I am the “resident ornithologist” at the Tofino Botanical Gardens—ornithologist, being a term that I rarely use because it is reserved for qualified professionals who have a degree in the subject. I first started this job when I was twelve, two years ago, after I was given the Young Birder of the Year award by the BC Field Ornithologists. My job is to take people on tours through the Botanical Gardens to enhance their knowledge about this area’s birds and wildlife. The highlight of my job is watching people discover birding for the first time. I meet many people from all over the world who know nothing about birding and decide to give it a try, and seeing how much they enjoy it is really a pleasure for me. 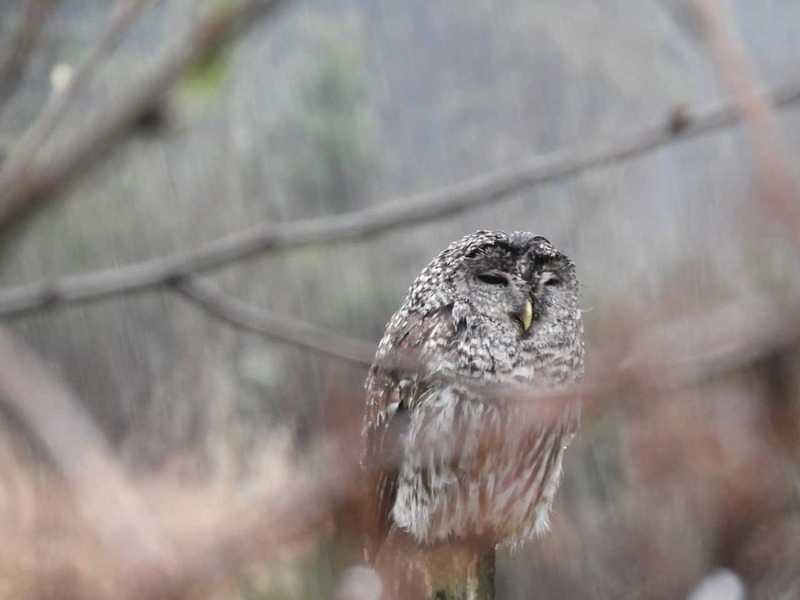 Another reason Tofino has established its place in the birders’ world is its location, in about the middle of a migration path from Alaska to Mexico, called the Pacific Flyway. Tofino is a critical stopover for many birds on this route, particularly shorebirds who fly through in massive quantities in spring. In fact, so many shorebirds come through the area that Tofitians have named a festival after them. So if you are pining to see small fluffy birds, such as Western Sandpipers, Semipalmated Plovers, Least Sandpipers and many more, Tofino in May is a good place to visit. 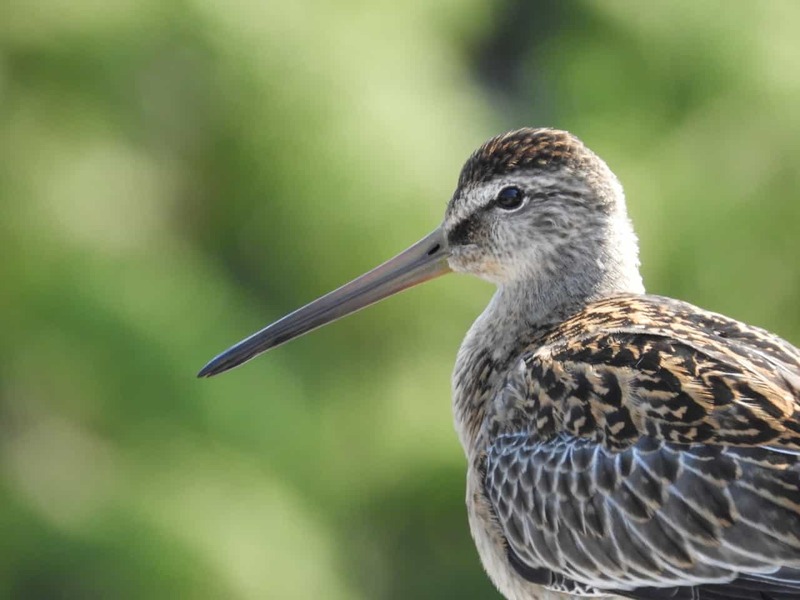 If you’ve seen shorebirds, and are still in the mood for birding you can try a pelagic trip out to Clayoquot Canyon with chances of seeing Black Albatross, Cassin’s Auklets, Bonaparte’s and Sabine’s Gulls. Or you can go to Combers beach to see the nesting Common Ravens dancing in the air and listen to the Pacific Wrens singing in the woods. Take a boat trip to Cleland Island and see nesting Glaucous Winged Gulls, Tufted Puffins, and lose yourself in the beautiful birdlife of Tofino.